If ya’ll are in Austin Texas this weekend – and why wouldn’t you be – come and see me! 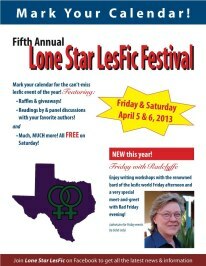 I’m attending my very first Lone Star LesFic Festival! I am late for this date but am certain you could feel me there in spirit.